Well it is just over a year later and I am once again finding myself a nomad. One thing we are working on for this move is that Richmond will be our final settling down place. We are so excited to be here. Now we just need a place to call home and I am working hard at finding a job. 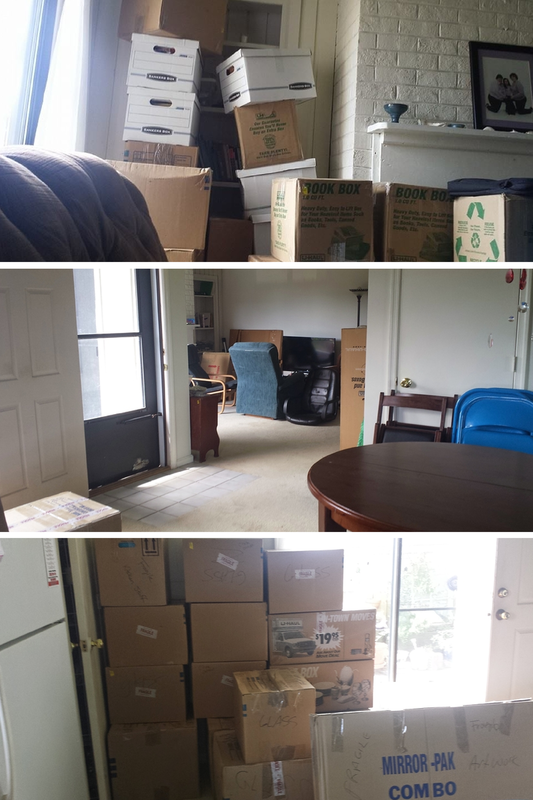 Here is to hoping that this will be a very short nomadic period and that we will soon be settling into a new life here in Richmond, VA! In the meantime, a reminder about how I am really quite a bad nomad! Over the past few months my family and I have been rather nomadic. We moved out of Williamsburg in February and then we have lived in three different places here on the Outer Banks before finally landing in our place for this year in Kitty Hawk. This weekend we were finally able to get our stuff from storage in Williamsburg (we landed here June 1 and have been doing a modified form of camping here in our new place). We have most of our stuff although it wouldn't quite all fit on the truck (yes this is where you just go UGH!!!). So now I am writing to you from our couch (hooray!) surrounded by boxes and nothing quite where it should be. All three of us are exhausted and sore from lifting and carrying. I have new found respect for Sarah and Abraham, the Israelites who wandered the dessert for forty years and all the other nomads of the Hebrew Scriptures. That is way too much packing and unpacking. Way too much of not being settled. I would have been one of the loudest complaining Israelites and probably would have been barred from ever actually entering the Promised Land because of it. Ok maybe not and I actually think the Divine is much much more benevolent that that but certainly the other Israelites would have been done with me. Let's just leave it that I would never make it as a permanent nomad. One reason I am terrible nomad is that I need way too much stuff with me. I get a tad too frustrated with missing certain items - you know like spatulas and our really good knife! We love to cook and we were very lucky that in most of the places we stayed the kitchens were well stocked. When we finally landed here we had very limited kitchen supplies (hence the no spatula and no good knife). Secondly the constantly living out of bags, packing up our belongings every few weeks meant that I never felt settled and once I would get settled we were off again. I have discovered I have a deep need for place - I really need to have a place to spread out and call home. Finally we are here and so is our stuff (ok most of our stuff) and all that is left is the long hard work of unpacking and finding homes for all our belongings. We unpack knowing that we are here for this year and then life will shift again. My goal for this year is to put down roots, not hold back, enjoy all the Outer Banks has to offer and then know that I lived fully while I was here and knowing that I only have a certain amount time to enjoy it. I am going to risk it being hard to say goodbye! And I am certainly going to enjoy not being a nomad for the next eleven months! Ah yes now to the unpacking! So are you a nomad or not so much? What are your best and worst memories of moving?